Kermit Peters, age 86, of Hampton, died Sunday, April 23, 2017, at his home. A Memorial Service will be held at 10:30 A.M., Wednesday, April 26th at the Chapel of Higby-McQuiston Mortuary in Aurora. Rev. Jim Voth will officiate. Inurnment will be at the Hampton City Cemetery. No Visitation. Memorials may be made to Bethesda Mennonite Church. Condolences may be e-mailed to the family through the mortuary website at www.higbymortuary.com. 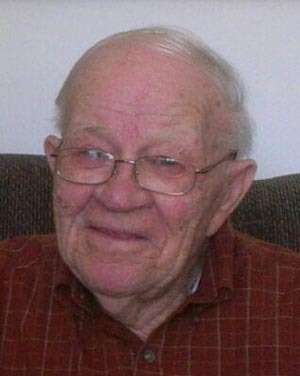 Kermit Dell Peters, the son of John A. and Elisabeth (Friesen) Peters, was born in York County, Nebraska on September 18, 1930 and passed away in Hampton, Nebraska on April 23, 2017, at the age of 86. He grew up in Hampton and attended school through the 8th grade. Following his schooling, Kermit worked on the family farm. Kermit was united in marriage to Phyllis Neufeld on September 4, 1953 at Buhler, Kansas. They moved to a farm south of Hampton, Nebraska where they raised their three children. Kermit farmed until his retirement. Kermit was a member of the Bethesda Mennonite Church in Henderson. Those left to cherish his memory are his wife, Phyllis of Hampton; three children, Michael (Katheryn) Peters of Boulder City, Nevada, Charlotte (Michael) Cudmore of Loveland, Colorado and Barbara (Randy) Ratashak of Johnstown, Colorado; 7 grandchildren; 9 great-grandchildren; four sisters, Betty Regier, Ardith Epp, Caroline Bergen and Cora Kay Friesen all of Henderson and other relatives and friends.